SeizerStyle Designs presents our 2012 collection of calendars. 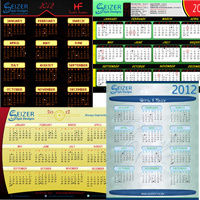 At the end of each year we design a set of calendars that showcase our graphic design abilities. This year we designed 7 calendars.